Since I have all these leggings made up, now I need tops! I prefer the slightly longer tops as I am a believer that leggings are not pants. 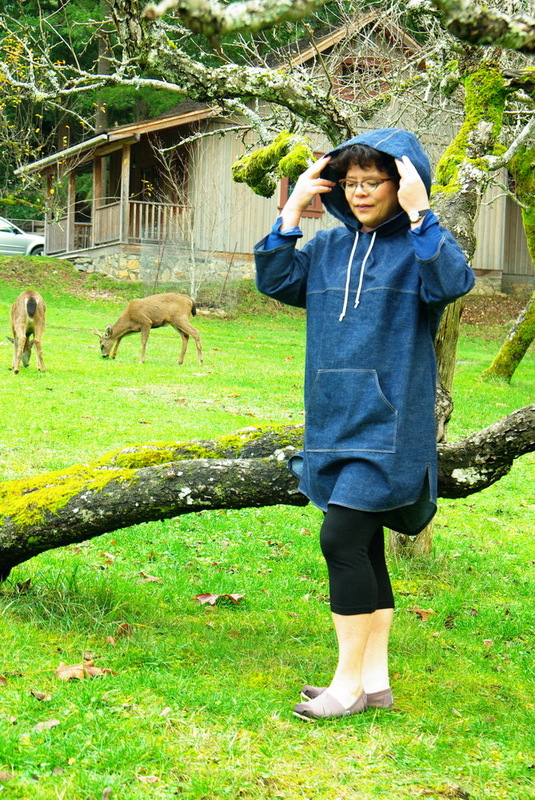 Burda 6475 intrigued me since it is a longer tunic, it has a hood and I loved the kangaroo pocket. The front yoke is cut on the bias so I thought that was an interesting design detail. The instructions suggest a (twill) tape as a drawstring which I guess would be easier to thread with a large eyed needle. I, however, chose a 1/4″ round braided cord. 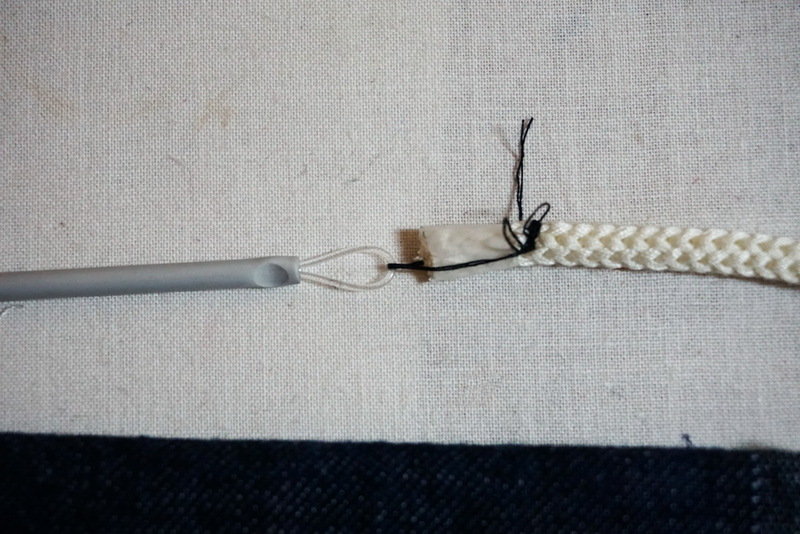 I taped the ends to make an aglet (the plastic end of a shoelace) as suggest by the pattern. The problem was that I couldn’t feed the cord past the front top stitched seams of the hood. It just wasn’t firm enough to feed through that thick spot. 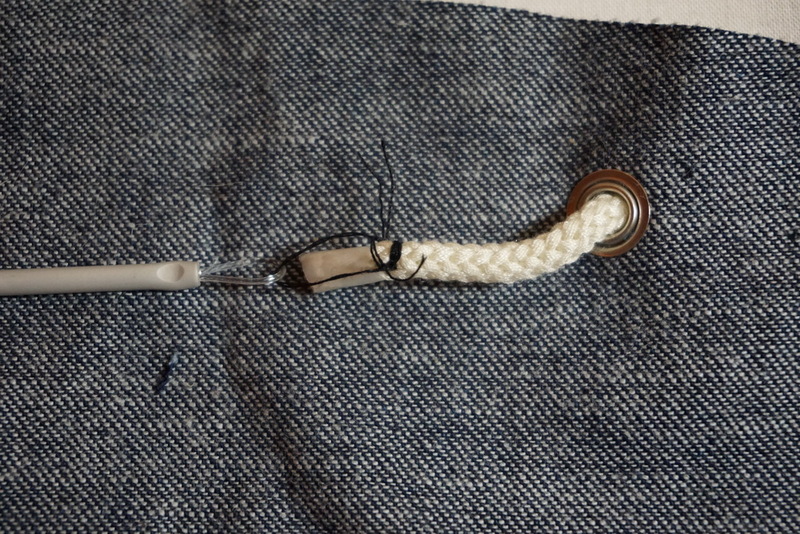 I couldn’t thread a needle because the doubled cord wouldn’t fit through the eyelet. 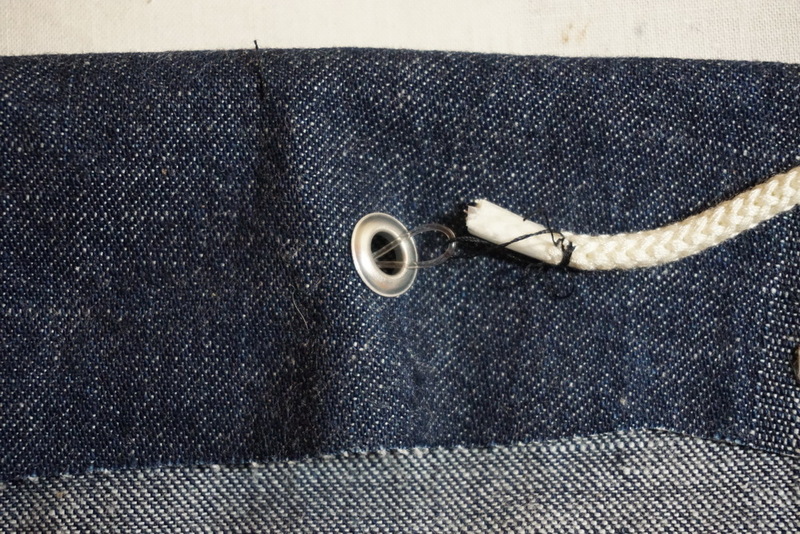 By threading the cord, it became to thick to go through the eyelet. 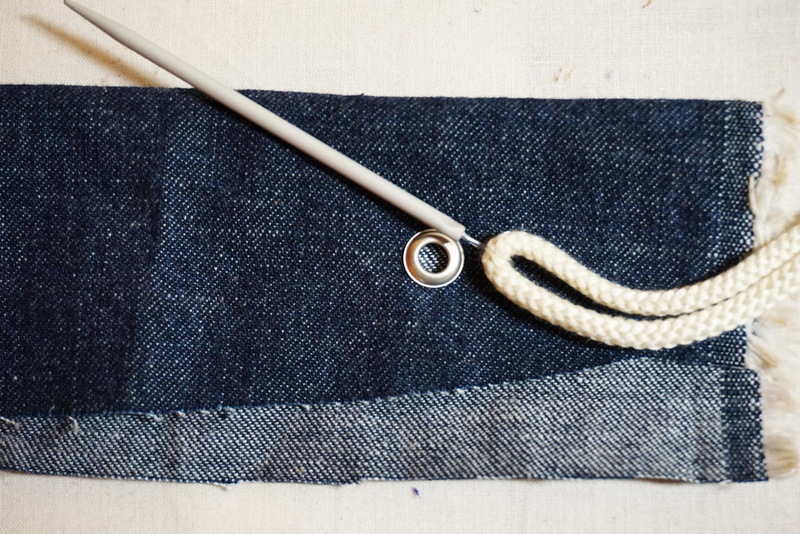 What I did end up doing was ‘lassoing’ the cord onto a large eye wool needle. Worked like a charm! I believe this is going to work! And here is the garment. Unfortunately, the deer didn’t seem as excited as I was! Good idea with the lasso. 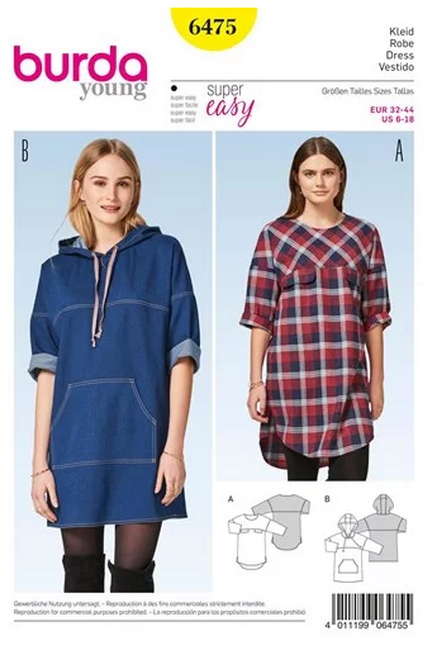 What type of fabric did you use? 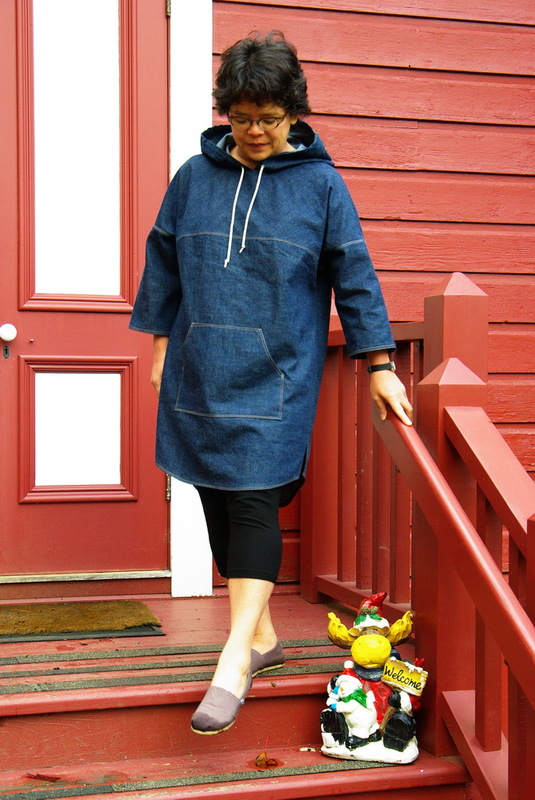 The tunic was from a denim. (Not on the website yet, but will do so shortly). And the cord was a polyester braided cord. Spend $200 or more and the shipping is on us! Get instant access to our latest fabrics as they come in. 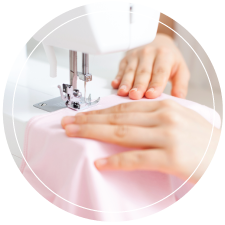 Gala Fabrics is a family-run business that has been passed down through three generations - we really love our fabrics! Our stores and online shop showcase beautiful fabrics from around the world - guaranteed to satisfy modern home sewers everywhere.